Vladimir Dubyshkin - Cheerful Pessimist. Vinyl EP. Bleep. 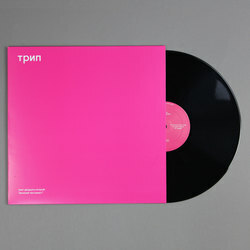 After a couple of releases on Macro Recordings back in 2016, Russian producer Vladimir Dubyshkin steps out on Nina Kraviz’s TRIP Records with a new EP. Anyone who has caught a Kraviz set in the weeks and months prior to Cheerful Pessimist’s release is likely to recognise some of the material here. The energy of peak-time techno bangers ‘Machines Behave Badly’, ‘I Decided To Fly’ and ‘Pigeon Epilepsy’ is particularly addictive.